FCI Admit Card 2018: After conducting the examination now, Food Corporation of India is going to organize Document Verification round / Physical Endurance Test, thus corporation has released the FCI Admit Card 2018 for UP/NEF Region. Candidates who are shortlisted of Physical Endurance Test /Document Verification which is scheduled to be held on 3rd July 2018 must download FCI Watchman Admit Card via online mode. Without FCI Watchman hall ticket no one will be permit to enter the reporting venue. 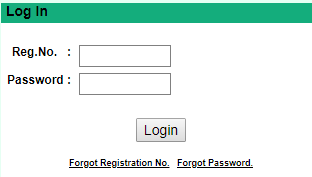 Students access the FCI Watchman Exam admit card through official site fcinefjobs.com by entering valid credential such as registration number & password. After downloading FCI Admit Card 2018 one must ensure details mentioned are correct. Download Uttar Pradesh FCI Watchman Admit card and get copy of same. Do You Know FCI Watchman Recruitment Process? Selection of applied candidates for FCI Watchman Recruitment 2018 will be done on the basis of three rounds that are listed below. Candidates need to qualify in all the rounds to get final selection in applied post. All the questions will carry 1 mark. Contenders can check mentioned Official link for gaining more information related to FCI Watchman Admit Card 2018. Join us on Facebook or Google + for latest updates. For any query or any suggestions comment us on below mentioned comment box our team will soon reply to it.